SKK Mobile Lynx Lite becomes official. It’s a shed-down version of its popular device, the SKK Mobile Lynx. Following the latter’s success, the local seller came up with a Lite version that features a quad-core CPU in the sub 3k category. This phone frames a 5-inch qHD display and packs a quad-core processor ticked at 1.3GHz. Likewise, the handset is supported by a gigabyte of RAM for multitasking capabilities. This dual-SIM device is also equipped with 5MP/2MP rear and selfie camera combination. 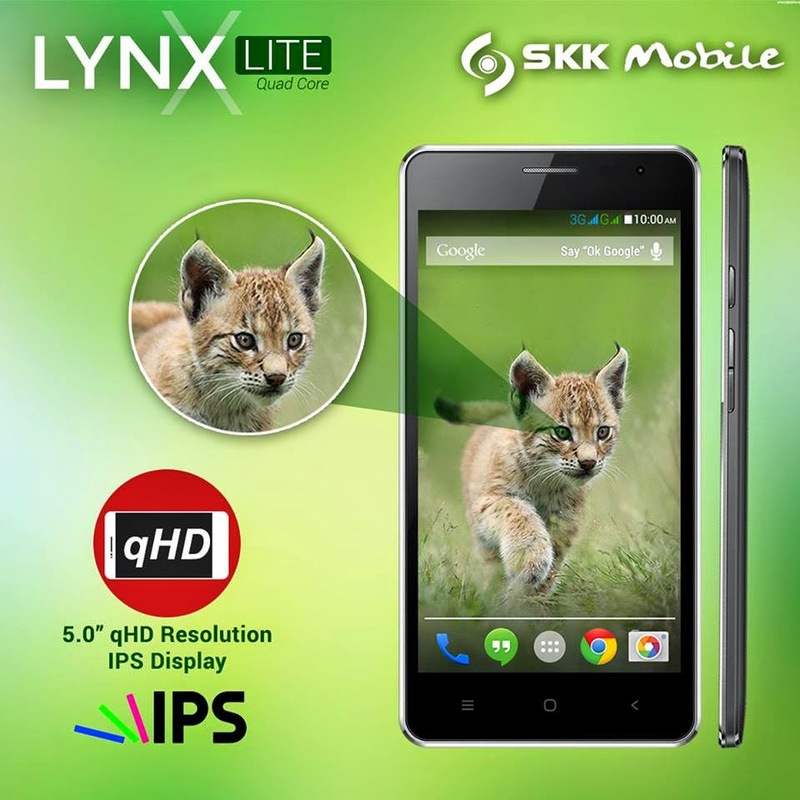 Across the board, the SKK Mobile Lynx Lite packs an 8GB built-in storage that is expandable up to 64GB via microSD. There’s also 3G HSPA+ connectivity so that you can quickly access to your mails and social networking apps like Facebook, Twitter and Instagram. On a low note, the battery is only 2000 mAh; the larger screen display and quad-core processor may easily drain the juice. Other than that, the specs are pretty legit for a Php 2,999 price standpoint. There’s no definite date yet as to when the phone will be available on your local outlets; but the SKK announced on their FB page that it will be available soon. We are guessing that SKK Mobile Lynx Lite will be out sometime in April. The handheld will be available in different hues - yellow, pink, green, black and white. If you have another thousand peso to spare, you might want to consider the SKK Mobile Lynx with 5-inch HD display, octa-core CPU, 13MP rear camera, 5MP selfie shooter and 2,500 battery for Php 3,999.